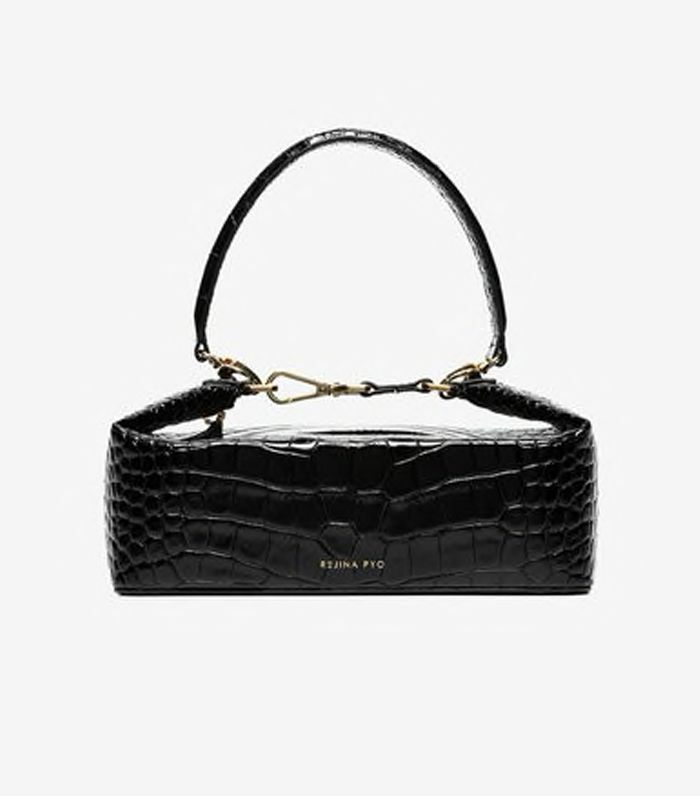 Over the past few years, there has been a rise in affordable designer handbags. 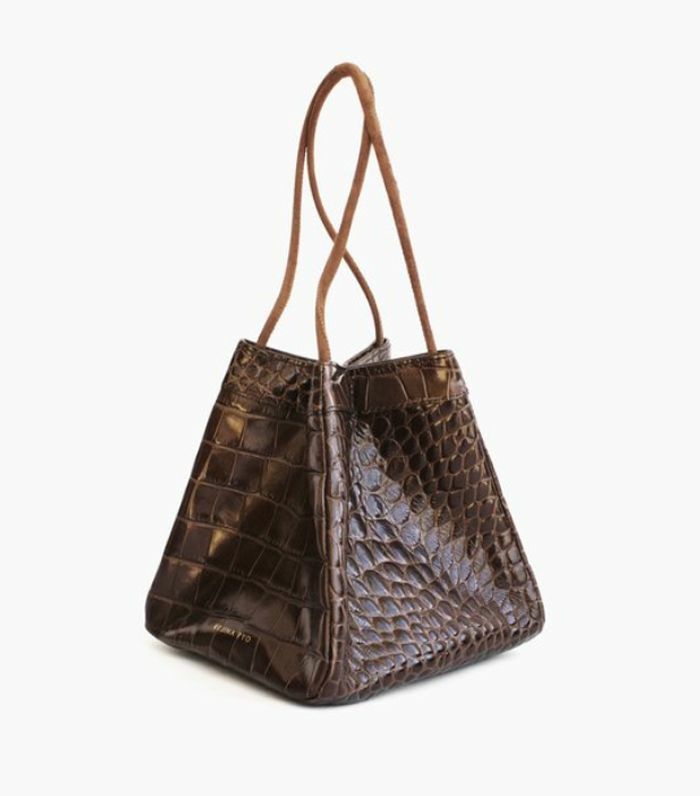 Most of the It bags that you see all over your Instagram feeds all fall in the $300 to $600 bracket. 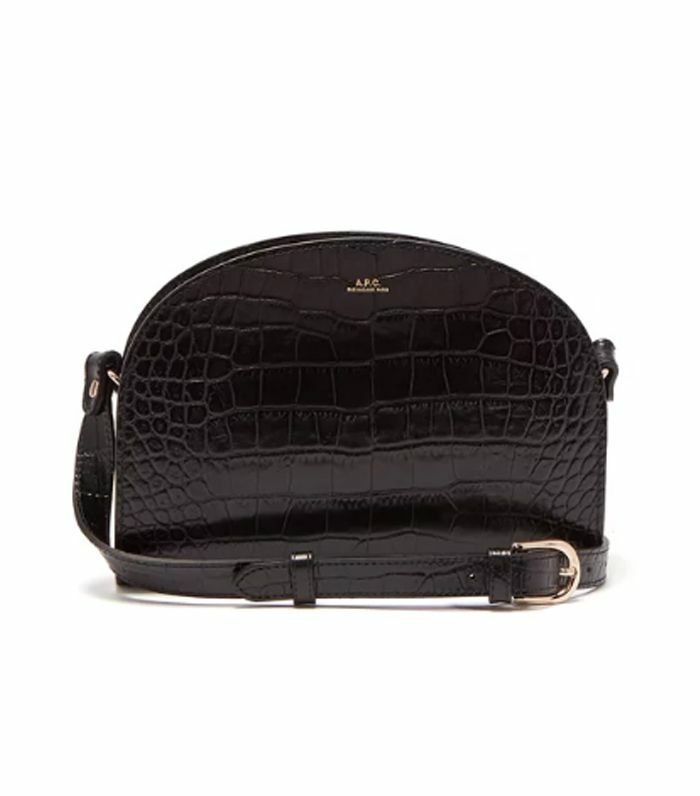 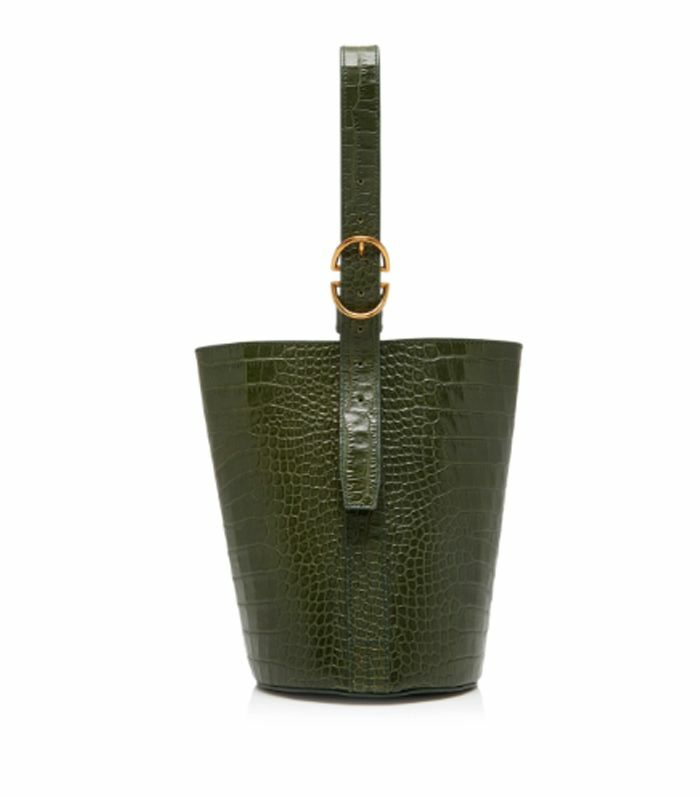 And the bags that are selling the fastest all have one thing in common: a croc-effect finish. 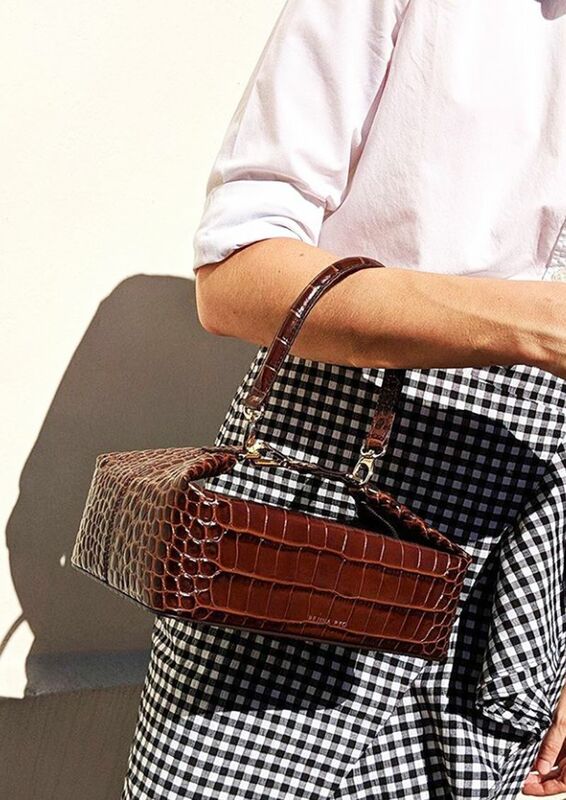 Lisa Aiken, Net-a-Porter’s fashion director, said at her F/W 18 trends presentation that this trend is only going to get bigger this fall and that the key is that it photographs well. 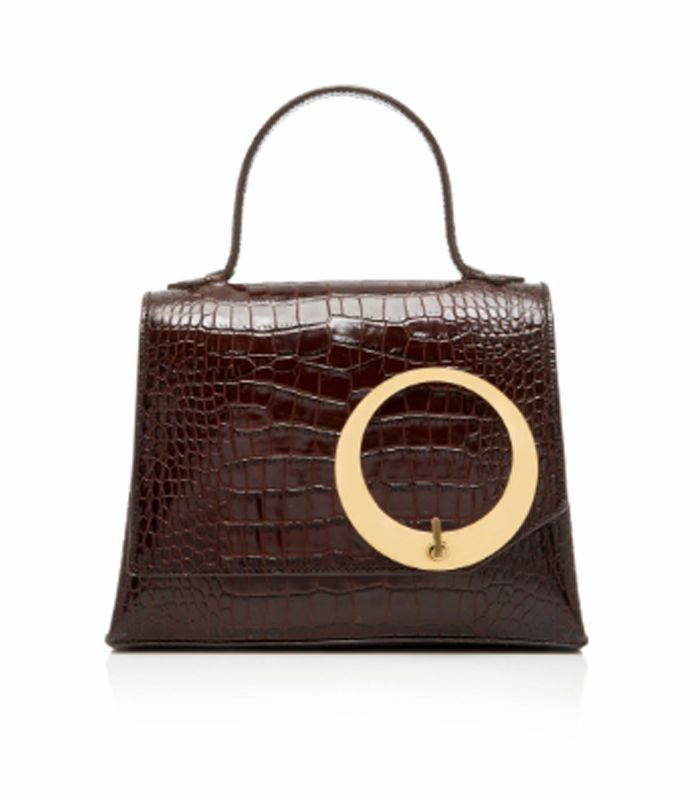 “Lots of contemporary brands are working this into their collections but it still feels super premium,” says Aiken. 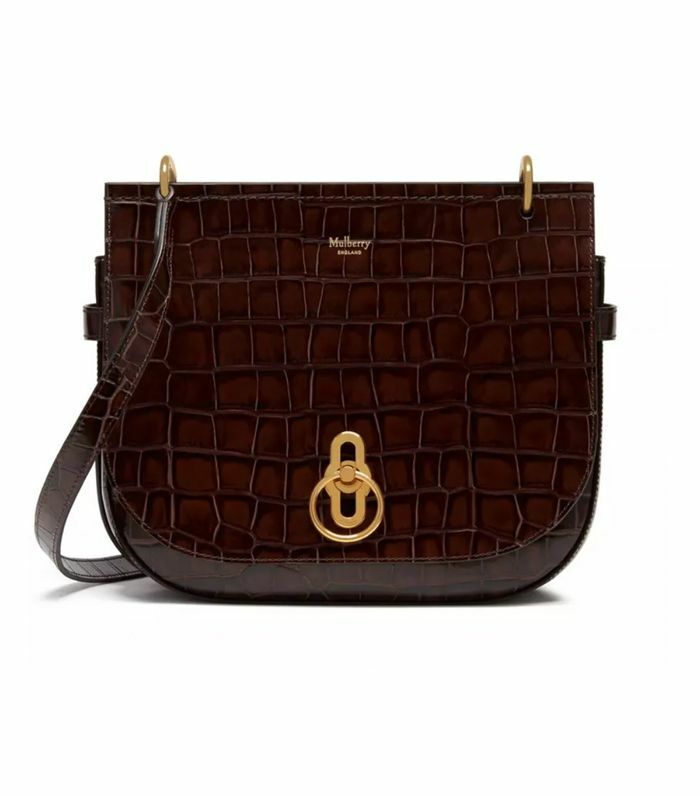 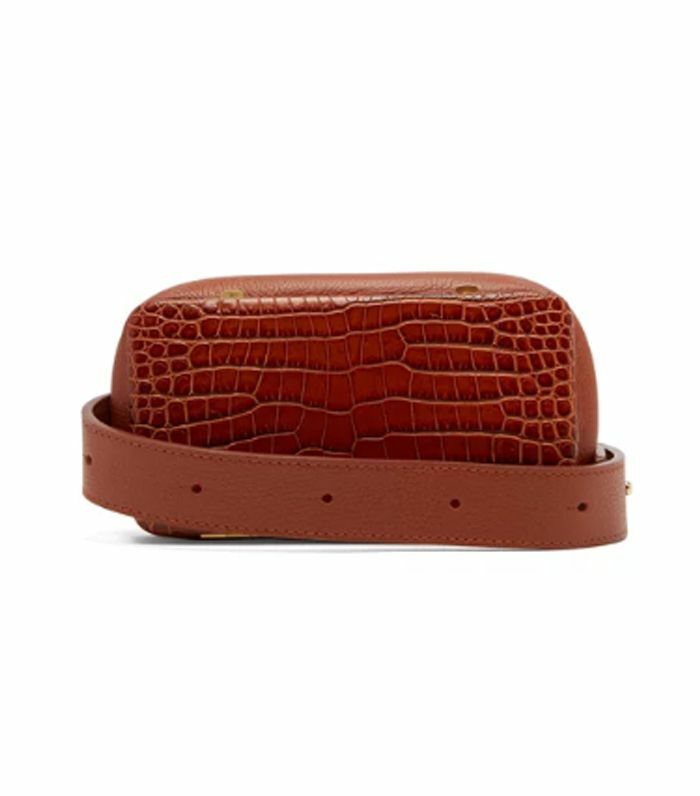 “It’s something you’d have and treasure for a long time.” Staud’s croc-effect Bissett bag always sells out very quickly, and Rejina Pyo‘s and Nanushka‘s bags are all in a luxurious soft brown croc-effect leather. 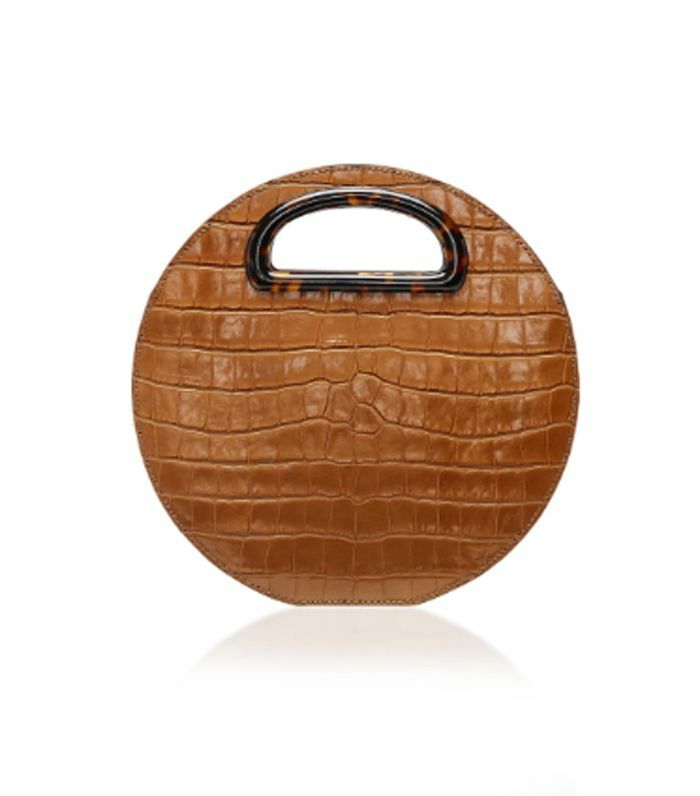 Style Notes: Lisa Aiken previews one of the best upcoming bags of the season—an oversize croc-effect tote from Nanushka. 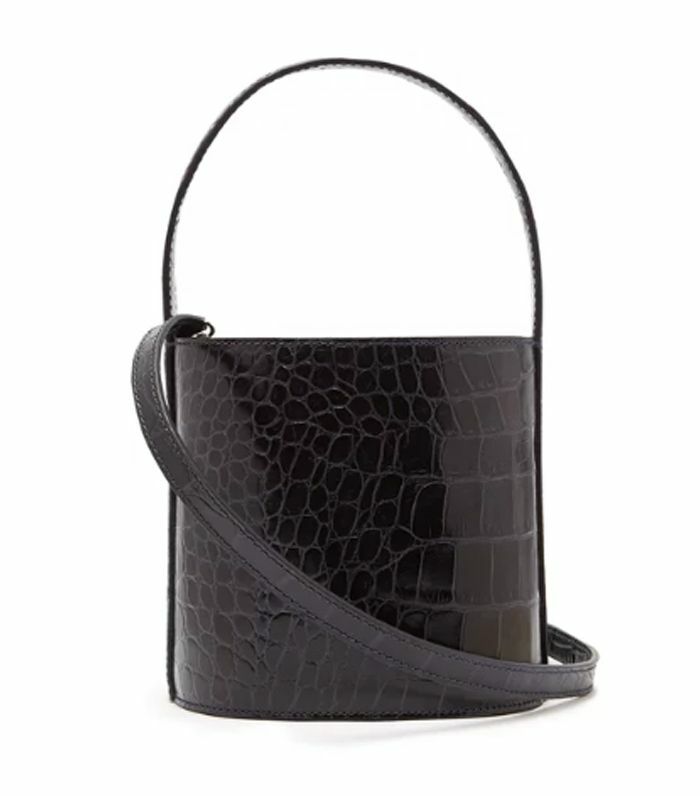 Style Notes: We told you croc effect is photogenic. 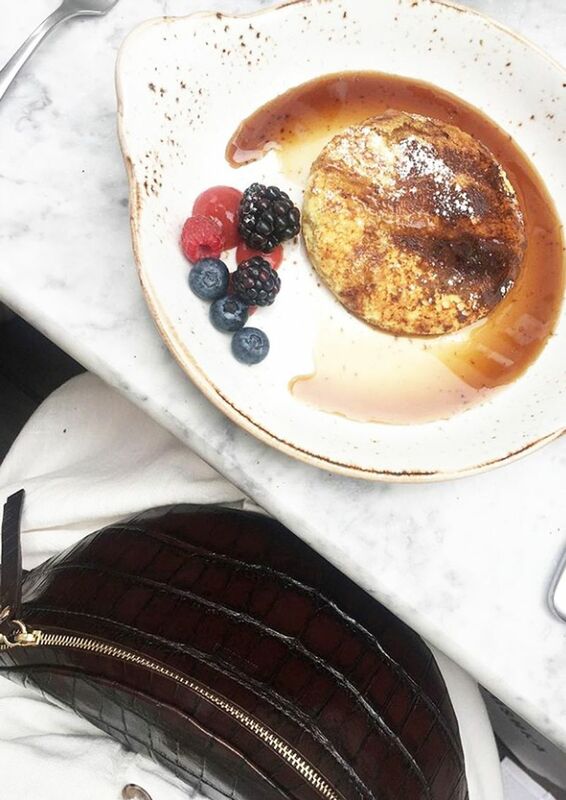 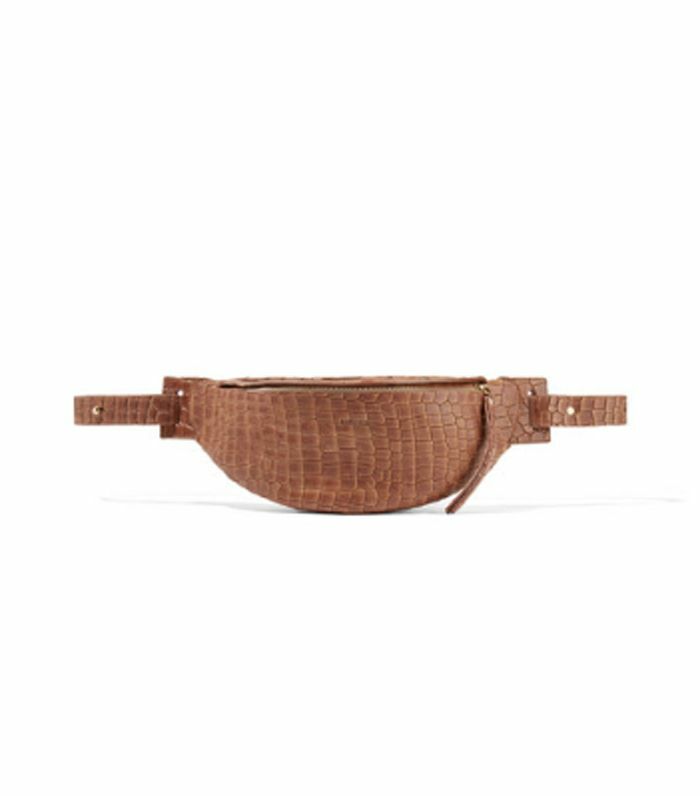 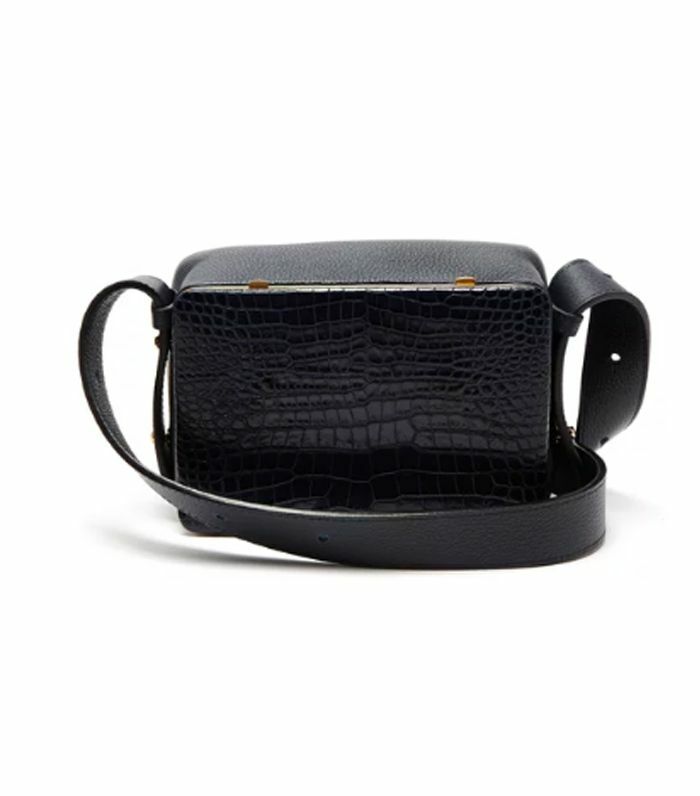 This Nanushka belt bag looks just as tempting as the pancakes. 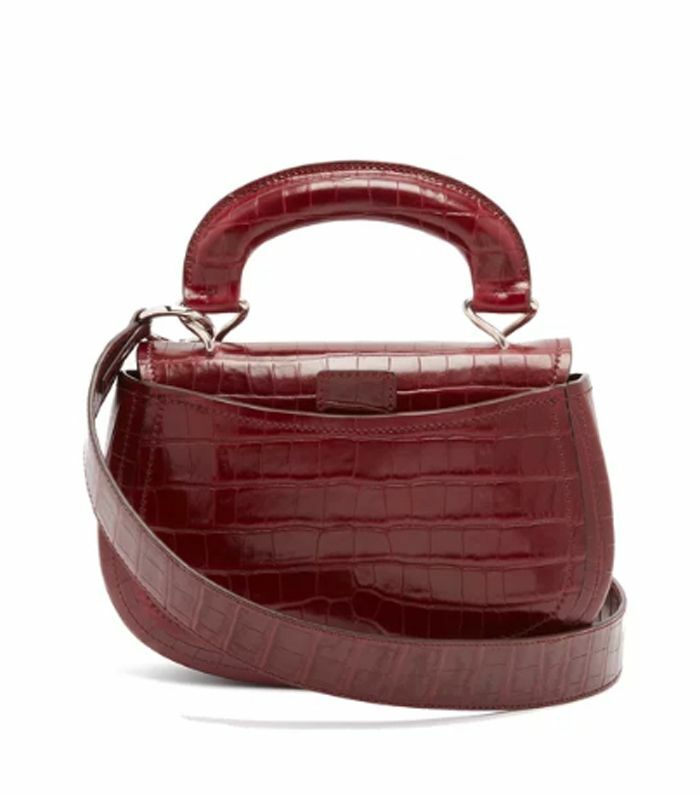 Style Notes: This super-glossy Rejina Pyo box bag was a real hit when Browns Fashion sent it to the office for us to play with.